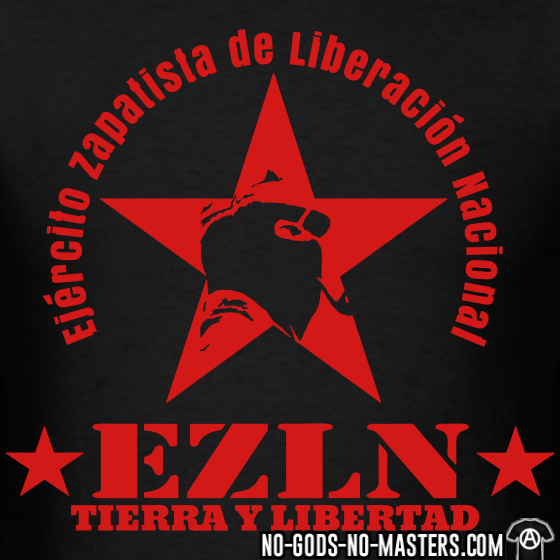 EZLN: Truth and Justice Will Never, Ever, Come from Above. It is once again made clear that truth and justice will never, ever come from above. From above the only thing we can expect is pretence, deceit, impunity, and cynicism. The criminal above will always receive absolution and reward, because the one who judges him is the same one who pays him. They are the same, criminals and judges. They are poisonous heads of the same Hydra. 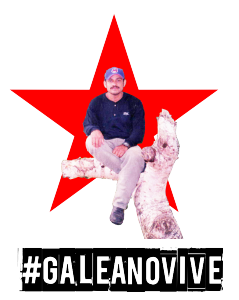 As Zapatistas, we have realized that the intellectual authors of the murder of the compañero and teacher Galeano have returned, fat and happy, to their homes in the village of La Realidad. They were supposedly being held prisoner for the murder of our teacher and compañero. We already know that they have been declared innocent of this crime by the same people who financed and supported them: the federal and Chiapas state governments. On August 12 of this year, the self-proclaimed “judge” Victor Manuel Zepeda López, of the criminal court in Comitán de Domínguez, Chiapas, declared that Mr. Carmelino Rodríguez Jiménez and Mr. Javier López Rodríguez are innocent, despite that fact that they and their accomplices in the CIOAC-Histórica know that they are guilty of organizing the crime. They aren’t the only ones responsible, but they are guilty. Now we only have to wait for the statements of support from their accomplices: Pablo Salazar Mendeguchía, Luis H. Álvarez, Jaime Martínez Veloz, Juan Sabines Guerrero, Manuel Velasco, Manuel Culebro Gordillo, Vicente Fox, Felipe Calderón, Enrique Peña Nieto, and Rosario Robles. These are some of the people who domesticated the CIOAC-Histórica and converted it into what it is today: a paramilitary group, useful for bringing in votes and for murdering those engaged in social struggle. 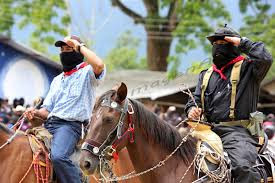 As Zapatistas, we see and listen to not only our own rage, our fury, our hatred toward those above who consider themselves owners and masters of lives and destinies, of lands and subsoils, as well as toward those who sell out, through their movements and organizations, in betrayal of their own history and principles. As Zapatistas we also see and listen to other pain, other rage, other hatred. We see and hear the pain and the rage that have become the demands of the families of the thousands of murdered and disappeared citizens and migrants. We see and hear the tenacious search for justice of the families of the children murdered in the ABC Daycare in Sonora. We see and hear the rage that became a dignified and rebellious hunger strike by the anarchist prisoners in Mexico and other parts of the world. We see and hear the rage in the tireless steps of the families of the 47 absent students from Ayotzinapa. 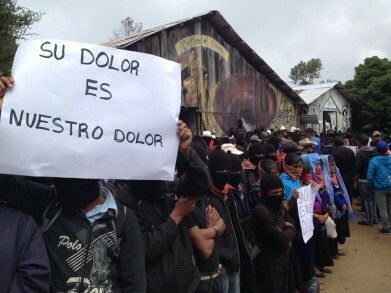 We see and hear the rage of our Nahua brother community of Ostula, attacked by the army. We see and hear the rage of our Ñahtó brother community of San Francisco Xochicuautla at the dispossession of their forests. We see and hear the rage of our Yaqui brother community for the unjust imprisonment of their members and the shameless theft of their territory. We see and hear the rage at the joke that is the investigation of the murders of Olivia Alejandra Negrete Avilés, Yesenia Atziry Quiroz Alfaro, Nadia Dominicque Vera Pérez, Mile Virginia Martin Gordillo, and Rubén Espinosa Becerril in Mexico City. We see and hear the rage of the democratic teachers union that resists the media, police, and military wars against them for the crime of not surrendering. We see and hear the indignation of those who, in the turbid and brutal north, are attacked, sentenced, and condemned because of the colour of their skin. We see and hear the rage and pain expressed for the disappeared women, murdered for the crime of being woman; for all those who are attacked because Power cannot tolerate anything outside of its narrow thinking; for the childhood that is destroyed before it even has the chance to become a macroeconomic statistic. We see and hear that all of these people receive only lies and mockery from those who proclaim to administer justice and who in reality only administer impunity and encourage crime. We see and hear everywhere the same promises of truth and justice, and the same lies. They don’t even bother to change the words; all those above already have a text that they read, and badly. Because in this world in which we hurt, the criminal is free and s/he who is just is prisoner. The murderer is rewarded and the dead are slandered. But we also see and hear that there are more and more voices that don’t trust [those above], that don’t let themselves [be manipulated], that rebel. We as Zapatistas, women and men, did not trust those above before, nor do we now, nor will we ever, regardless of the colour of their flag, regardless of their style of speech, regardless of their race. If one is above, it is because s/he is oppressing those below. Those above have no trustworthy word, no honour, no shame, no dignity. Truth and justice will never, ever, come from above. We will have to construct them from below. And the criminal will pay until the accounts are balanced. Because what those above don’t know is that every crime that remains in impunity further inflames hate and rage. And every injustice committed only opens the path for this hate and rage to become organized. And in the balance of our pain, we will weigh what is owed us. And we will pass on the bill… and ensure that it is paid. Then, in fact, we will have truth and justice. Not as a handout from those above, but as a conquest by those below. The prisons then will be for the criminals, and not for the just. And life—dignified, just, and peaceful—will be for everyone.